Utilized small Boat for Insp. AEA currently providing bridge inspection services for 55 Middlesex County Owned Bridges for the two cycles inspection project. AEA is responsible for project management, coordination, field inspection, Reports preparation, SI&A and NBE data updates, and Load Ratings for the Middlesex County owned bridges. 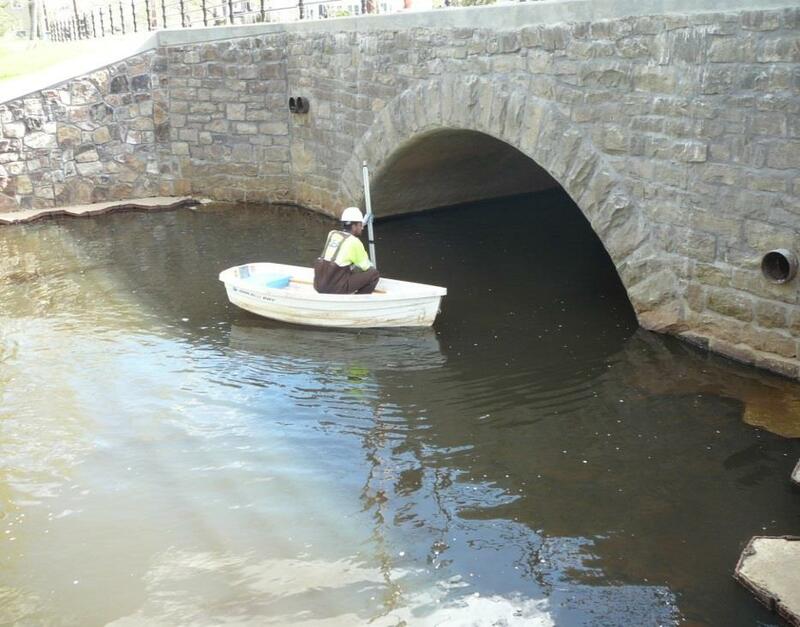 Performed project management includes coordination with NJDOT Project Manager, Middlesex County Engineer, and subcontractors for Underwater Inspection services. Attended project scoping and fee negotiation meetings with NJDOT, and prepared cost proposal by using NJDOT Cost Proposal program. Prepared field inspection schedule and submitted to NJDOT for approval. The project involved inspection of various types of structures from single span to nineteen Spans Bridge. The superstructures and substructures consisted of concrete encased multi steel stringers, concrete decks, pre-stressed concrete adjacent box beams and voided slab beams, pre-stressed concrete box culverts and three sided rigid frames, concrete arch, timber bridges, and concrete substructures. Performed a detailed visual and physical hands-on inspection of various elements of superstructure and substructure by using small Boat for the bridges over waterways. Substructures evaluated for scour conditions. Prepared priority repairs letters, monthly progress reports and updated SI&A and NBE data, and submitted to NJDOT. Performed Load Ratings by using LARS Bridge Load Rating computer software, reviewed Underwater Inspection Reports and prepared final reports for the bridges according to NJDOT and NBIS standard.